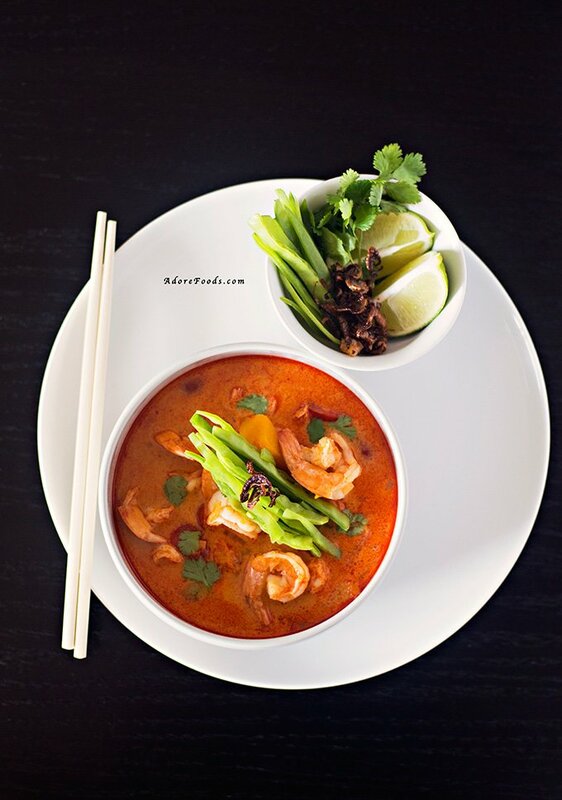 Quick and easy Thai Pumpkin Soup with Shrimp (Prawn) recipe. The pumpkin adds that pinch of sweetness required to get a perfectly balanced Thai soup. This month is entirely dedicated to Pumpkin! We are going to have a pumpkin blast this month, trying various recipes from around the world and cook pumpkin in not so traditional ways. Still crazy yum! 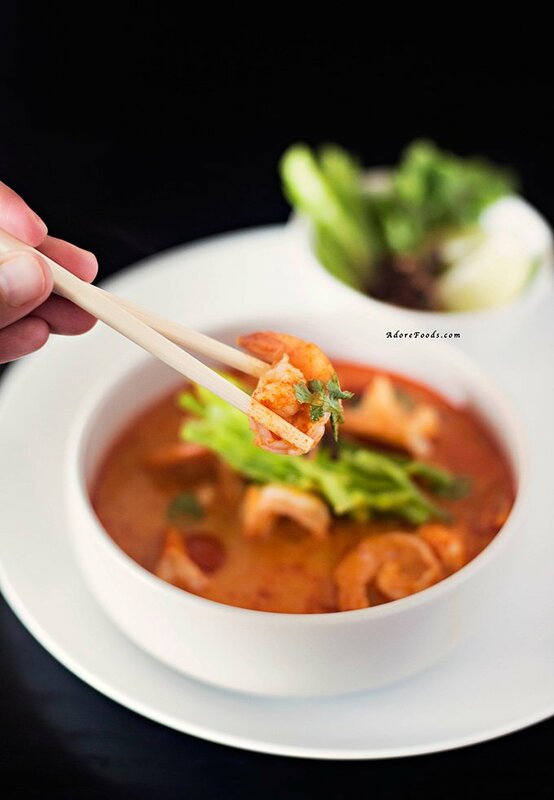 Today we are heading to Thailand to try an amazing Thai Pumpkin Soup with Shrimp (Prawn)! What comes first to your mind when you think of Thai food? Spicy 🙂 right?! Fresh herbs like cilantro (coriander), lemongrass, mint, basil? The most amazing balance of spicy, sour, sweet, salty and bitter? 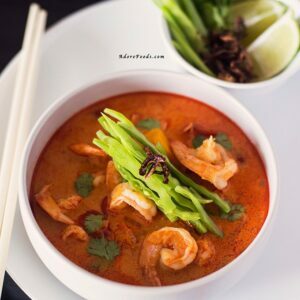 Well, I wanted to combine all these incredible Thai flavors and PUMPKIN in an ultra comforting, not so spicy, seasonal soup – Red Thai Pumpkin and Shrimp (Prawn) Soup. I know, most of you will expect a curried, creamy soup but not this time. I am stepping out of my creamy soup zone and I am so happy I did it! I absolutely loved the still crunchy texture of these pumpkin cubes! How to make Thai Pumpkin Soup? Usually, the most difficult part when making an exotic dish is finding the right, authentic ingredients. 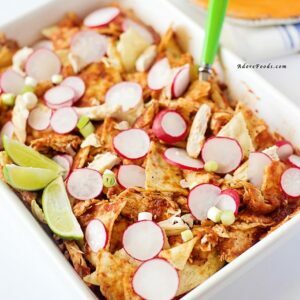 This recipe is incredible easy and quick to make. You’ll be able to find all ingredients as Thai Red Curry, coconut milk at any local supermarket, in the Asian section. No need to make a lengthy trip to an Asian supermarket. You will have this Thai Pumpkin Soup ready to serve in just 30 minutes! In a large saucepan heat vegetable oil over medium-high heat. Add sliced onion and cook for 2 minutes. Add red Thai Paste and cook, stirring from time to time for 2-3 minutes or until onion has softened. Add pumpkin squares and chicken stock and bring to boil. Reduce heat to medium and let simmer for 10 minutes. Stir in coconut milk, shrimp (prawn) and tomatoes. Simmer for 3 minutes or until shrimp changed color to pink and the pumpkin squares are just cooked, still a bit crunchy. Saddle into bowls, garnish with thinly sliced snow peas, fresh cilantro and serve with lime wedges. 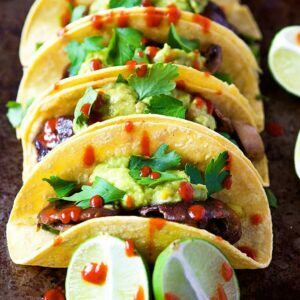 Beautiful photos of a delicious looking and sounding recipe. I love soups and I really think this combination would be a real flavor treat. Thank you for sharing. Interesting combination! 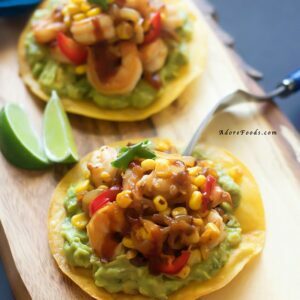 I would have never thought of pumpkin and shrimp in the same dish but this looks absolutely fantastic! A must try! Ooooh… this sounds wonderful! I’m guessing that the shrimp can be optional, right? Amazing pictures and delicious soup. I loved the combination of Thai flavors. What a pretty soup! I you can’t go wrong with pumpkin! I bet the coconut and Thai curry with the pumpkin is awesome in this dish! I love the sweet and spicy thing it has going on. Even better is that it’s a 30 minute meal! 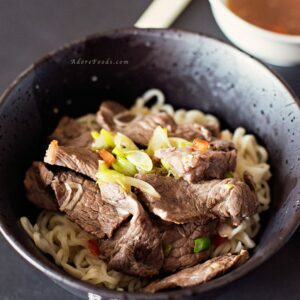 I have started to taste a few Thai recipes and I love it, this soup looks amazing. Great recipe. 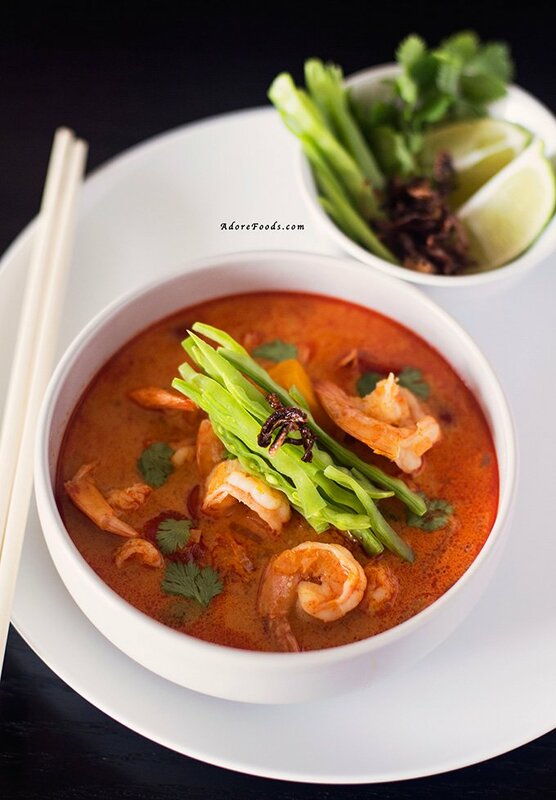 I love Thai flavors, this soup with the pumpkin and shrimp sounds wonderful! I adore pumpkin soup and the spicier it is the better. It has such a brilliant flavour but I love the colour too and it’s just perfect for this time of year. Beautiful flavors. Stunning photography. And a very easy to follow recipe to match. Thanks for sharing! 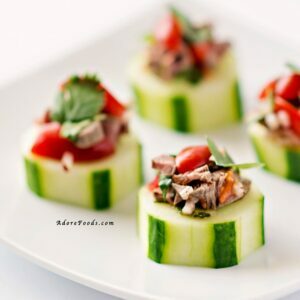 This looks so pretty, healthy and delicious. The flavors here sound and look AMAZING, pinning to my pumpkin everything board! So exotic and pretty. Now that’s a bowl of soup ! That’s a bowl of soup I can get behind! Incredible flavors, too! I love that the pumpkin is cubed and not pureed as we see so often. This looks beautiful and delicious!